Over our years of planning events, we've learned one very important truth: the event itself only takes a FRACTION of the time and effort, but the rest goes to promoting the event; the event marketing part has to be top-notch too! If you think about it: you can set up an impressive event— complete with amazing food and drink, production, and even the best giveaways—but if attendees are few and far in between, the conference or award ceremony isn’t going to succeed. Experience has taught us that marketing and promoting the event is just as important as planning the event itself. To guarantee a successful event, the right audience must be targeted. Easier said than done! Thanks to the ever-changing world of social media and marketing, it can be difficult to know how to market events properly. At Ultimate Experience, we learn something new at almost every event we plan. This guide will walk you through the A-Z of event marketing and help you make the most of our experiences planning events of every kind. This event marketing guide will help you understand the most effective, viable tactics and strategies to promote your event—be it a Christmas party, product launch, charitable event, or awards ceremony. We've included case studies to demonstrate a variety of successful events. The step-by-step guide will walk you through all the most complex parts of event marketing. Learn from the advice in the following pages, and you can maximise the effectiveness of your events! How can you be sure an event is the right event marketing option for you? At Ultimate Experience, we've discovered that events are the best option for reaching a wider audience—including people we would NEVER have reached through other methods. Did you know that in 44% of cases, events return a 3:1 ROI? That's a pretty impressive statistic, especially when that equates to 300% recuperation of the money you invested in your event. The truth is that events are becoming even more important for marketing and promotion. 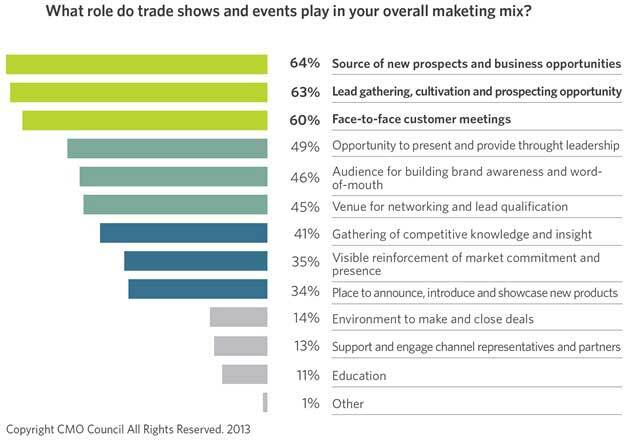 A staggering 83% of B2B marketers invest in events every year. 56% of marketers will increase their event budgets in the coming year, meaning they'll be spending even more on events in the hopes it will increase their returns. So why are they willing to spend more money on events? 84% of consumers will re-purchase a product promoted at an event they attend. Once the first purchase has been made, the likelihood of a repeat purchase is incredibly high. That's A LOT of return and repeat customers. Beyond the numbers of at-event sales, the chance of repeat customers is absolutely worth the expense. Repeat customers are the foundation of any company's success, and with 84% of event attendees re-purchasing your products, it can lead to some serious success. Almost two-thirds of CMOs believed that trade shows and events are an excellent option for finding new business opportunities, meeting customers face to face, and generating leads! 1. Stand out from the other event sponsors. To do this, they wore bright orange tracksuits—definitely easy to spot from anywhere in a packed room! 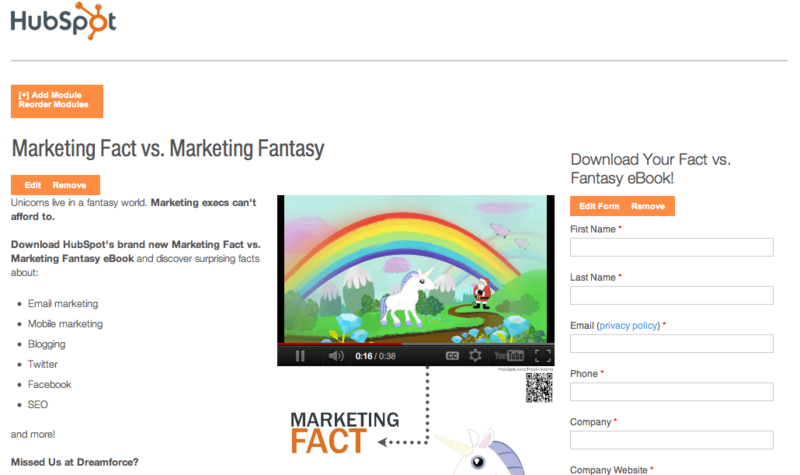 They also made their theme "marketing fact vs. marketing fantasy", using a unicorn as their theme. 2. Offer value to those attending. To this end, they offered mini-assessments and one-on-one consultations for attendees' inbound marketing. Instead of occupying a traditional booth, they set up four "un-booths"—spots with casual seating, no walls, and places where people could relax. 4. Provide calls to action to increase engagement. The assessments and consultations included calls to action to encourage people to sign up for HubSpot's tools and services. With MINIMAL pre-event promotion, HubSpot generated more than 2,300 new leads, obtained over 360 full-product demos after the event, and signed five new customers. In addition to that, the "Marketing Fact vs. Marketing Fantasy" slideshow posted to Slideshare received 55,000 views in the first few days, and their Dreamforce content received more than 100,000 views. 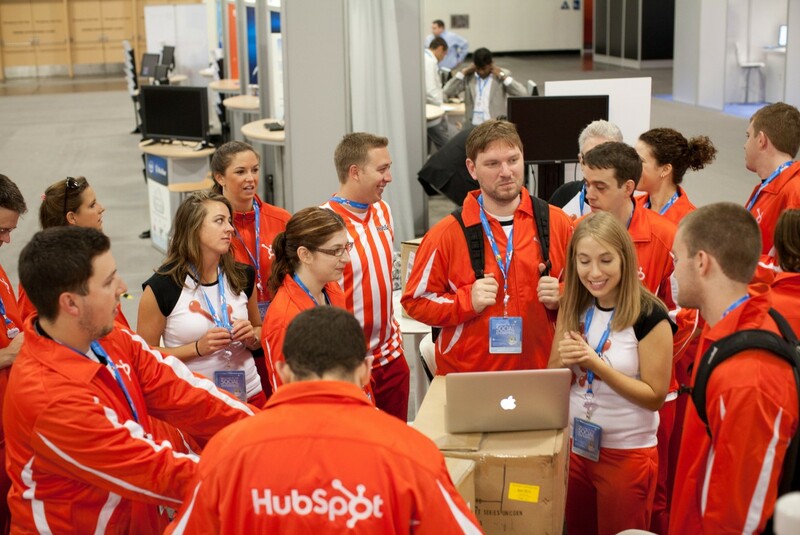 The unique, out-of-the-box approach to event marketing helped HubSpot to succeed, and it can do the same for you. Find ways to stand out, offer value, and increase engagement, and you'll get an excellent ROI on your event. Is an event really the BEST use of my limited event marketing budget? It's nearly impossible to say what is the "best" of anything. However, the statistics above show that events do yield a good ROI—potentially better than most other marketing events. The only way to find new clients/customers is to go where they are. Or, get them to come to you. Events are highly visible, and they're an effective way to promote your products and your brand. You can reach a much broader audience through an event than you could through any other form of marketing (email, social media, print, newspaper, etc.). Your brand is built upon the mental associations people form as they get to know you. For example, everyone KNOWS that Domino's Pizza is prompt, simply because they have built a brand around their "30 Minutes or it's free" concept. 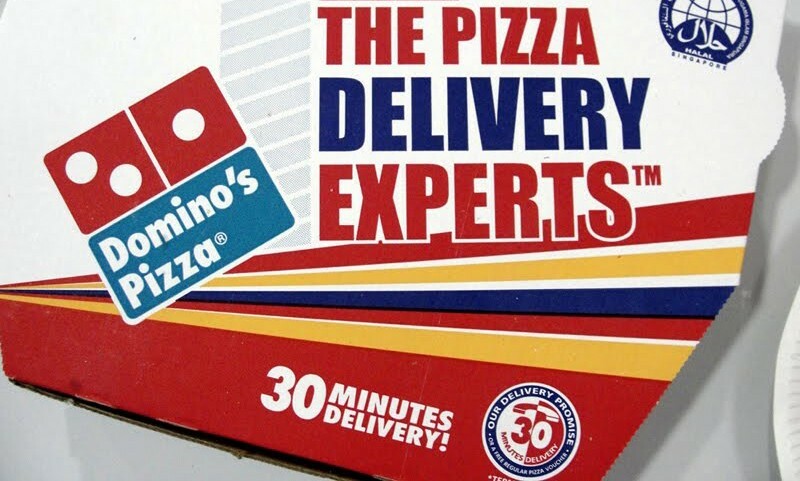 Even if the quality of the pizza isn't as good as others, people call Domino's because they can guarantee a quick pizza. We've built that positive association in our mind. That sort of positive association is vital for the success of any brand, but it’s not easy to build it. Events like TED, the Oscars, Fashion Week, the Olympics, or the Super Bowl are a way for businesses to associate their brands with things that people are interested in. Your event can be much the same. By using an event to build that positive association in people's minds, you encourage them to think favourably of your brand—increasing the likelihood they will become a customer. This is potentially one of the most important reasons to host events. Events are a good way to not only network with fellow businesses, but it gives you direct access to "leads"—people you can convert into customers. Of course, to generate those leads, you need to make sure you have the right demographic. Your guest list should be filled with your target audience. To do that, you need the right pre-event campaigns to reach the right people. In fact﻿,﻿ you also need the right post-event campaigns to turn existing leads into clients, and to prepare the way for your next event. As event organisers and hosts, it’s almost part of our job description that we stay ahead of the curve, on top of new innovations, and in a position to constantly encourage new thought and ideas. Corporate events give you an amazing opportunity to bring together the brightest and best minds in your industry, and get people around a table (or a bar, or a cupcake making competition stand...) to share their thoughts and consider new collaborations. You want to establish your business or organisation as a key mover and shaker in your field, and driving new ideas through thought leadership is one of your best bets at achieving this aim. As any passionate events manager will tell you, organising top events, conferences, and happenings in your field isn’t all about making money… but it certainly does help. No matter what sort of event you’re organising, ticketing and charging for entry is the surest and easiest way to make sure you’re covering all your costs, and any profits made can easily be put into the kitty for the next big calendar date. It’s never been easier to add links to websites and social media posts, which can drive visitors to a ticketing site with the click of a button - so what are you waiting for? Check out the best ways to get the cash flowing, and make all your efforts worth their while! To kick things off, we're going to start off with one of the most important tools for promoting/marketing your event: email. Email is the perfect blend of customisation and access. You can reach millions of people around the world, but you can narrow the email list down to only the people who you want to target. Email marketing is touted as the most effective method of reaching an audience with a product or service. It's certainly your best tool for marketing your event. 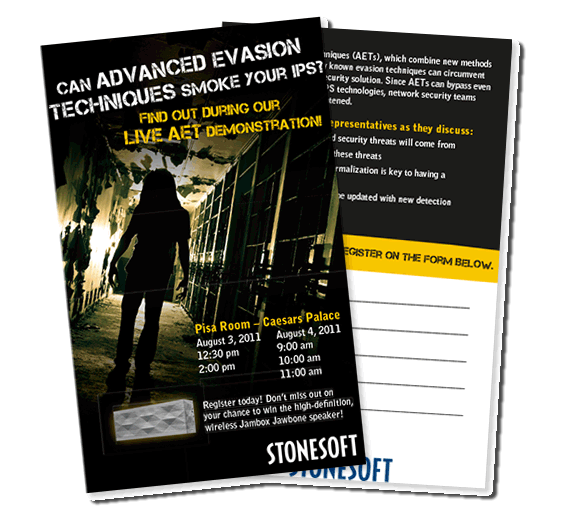 In 2011, network security company Stonesoft wanted to make a splash at the Black Hat Briefings. To that end, they created a "zombie-themed" campaign. 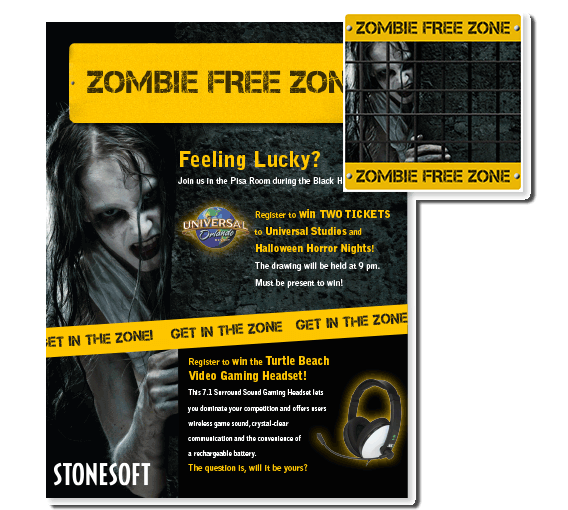 They connected the concept of malware-infected computers to zombies, and thus their entire marketing theme revolved around zombies. 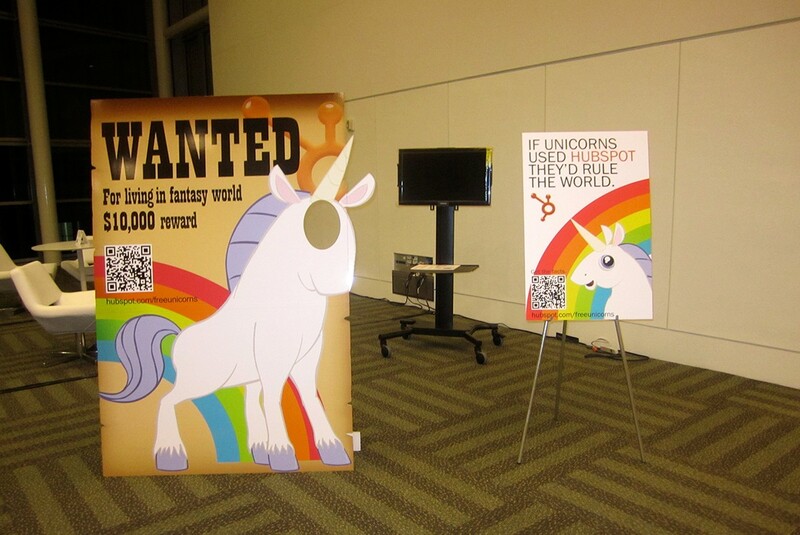 Everything from floor stickers to event posters to booth flyers to the tabletop display had the same theme. To increase engagement, they offered an incentive: a trip to Universal Studios' "Halloween Horror" event. 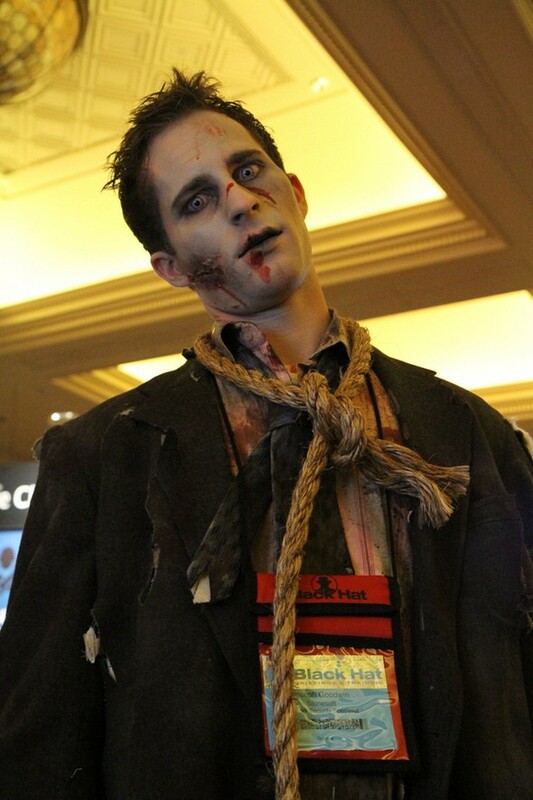 They also held giveaways with zombie-related prizes, and their event promo video followed the same theme. They even went as far as hiring a makeup artist from "The Walking Dead" for the video. But email played a vital role in their marketing. Three emails were sent to the Stonesoft subscriber database. In those emails, the "zombie spokesperson" invited the subscribers to the event. Increase attendees at the Black Hat Briefings while simultaneously driving more traffic to the booth. Combined with the clever theme, the email marketing worked extremely well. The more lead-in time you have before the event, the better! Not only does it give your guests more advanced notice, but it gives you more time to send out multiple emails. And that "multiple" is very important. Do you remember an event email if you only hear about it once? Unlikely, with competitors targeting your customers in the same way, you need to stand out and remind the customer your event is the one to attend, it can take at least 2-3 emails before a subscribers acknowledges your event. You need to plan your emails in advance so customers have the opportunity to save the date and can prepare for the event if necessary, ﻿and﻿ you certainly don't want to send multiple emails within too short a time period (a week or two). The best way to plan your pre-event email marketing is to give yourself a lot of lead-in time (3-4 months) to send out multiple email blasts about your event. Automated emails are great: you write just one email, set a time and date to send, and let the email service send it out for you. That one email is blasted to everyone on your list, all with one click of a button. Email automation is incredibly efficient, and it can help you to get those pre-event emails sent off in just a few minutes. You'll spend more time writing the emails than sending them! You won't have to go to your email inbox and send the emails one person or even one group at a time. It's a simple one-click setup. Drip, Mailchimp, Aweber, and Sendloop - Email Marketing and Automation Service are just a few of the services you can use. How often to send emails? This is a VERY important question. You don't want to over-send emails to your subscribers, but you do need to keep reminding them of the event. The frequency increases the closer to the date, that's intended to increase anticipation for the event and keep it in the forefront of your subscribers' minds. Make sure each email you send is different, and that it adds to the excitement for the event. You can prepare emails months in advance, and use a mailing service. Certain dates and times trigger the workflow, and a new email is sent out. It's the best way to save yourself a lot of time and make sure all the emails are sent out at the right time. Your newsletter list is made up of hundreds or thousands of individuals, all with their own unique behaviour. Some people don't see or open your emails for days, while others never click on links. To make the most effective use of your email marketing list, you MUST divide that list into segments. However, you can also create your own segments, using Excel CSV files (templates for email marketing services) to organize your subscribers according to their age, profession, hobbies, and anything else you can think of. Why is this important? For example, if your company sells shoes and you're creating an event to market a new pair of sports shoes. Your target demographic is athletic people who would wear those shoes, so you would want to send the marketing email ONLY to those who fit that profile. The people who have subscribed to your company newsletter to find deals on kids' shoes, dress shoes, or Crocs probably won't fall within that target demographic. By dividing your list into segments, you can make sure to hit the right people for the event you're hosting. By doing that research and examining previous email behaviours (opens, clicks, purchases, etc. ), you can determine the segment of your list that will be the most suitable for your event marketing. 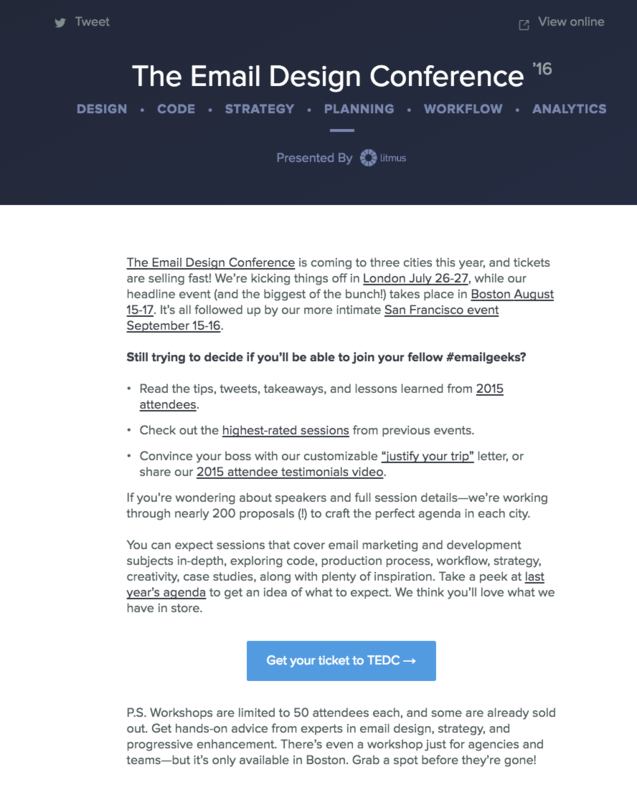 In 2016, Litmus was attending The Email Design Conference and wanted to make sure the attendees from the previous year were invited. 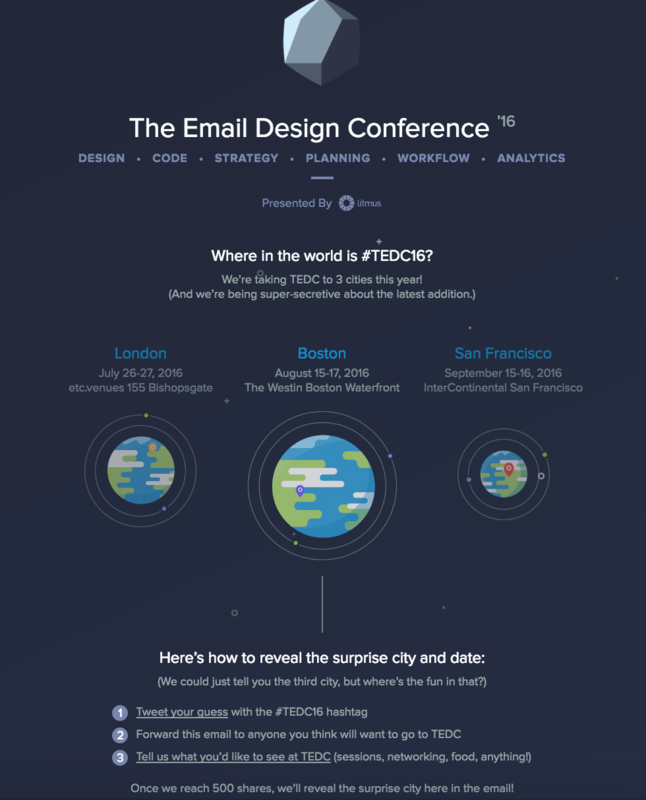 They created an email list segmented according to location (the conference was held in London, Boston, and San Francisco). They sent out an email targeted to 2015 attendees, including links to posts from the previous event (tips and tricks, memorable sessions, etc.). Do a guest blog post with someone else attending the event. That way, you tap into their audience to promote your product/service. The fact that you're hosting them on your site earns goodwill with their followers/subscribers. Create your own hashtag. Make an event hashtag that's short, clever, and easy to remember. In every tweet or post, make sure to include that hashtag. Use a standard PowerPoint presentation template. Keep the appearance of your presentation media consistent, and it will stick in your attendees' minds. Give your attendees pre-written tweets and Facebook posts to share, complete with any hashtags or links you want to include. That way, all they have to do is click "Share" or "Tweet" without having to type anything. Have your event target a keyword. Drive up your SEO rankings, and your event will become much more visible on Google Search. Just because the event is over, that doesn't mean you are done—and the marketing certainly isn't! In fact, your post-event marketing is almost as important as the pre-event marketing. Whatever the primary purpose of the event (sell products, promote a new release, etc. ), there is a very important secondary goal: generating leads. You may not sell out at the event, but you can get a lot of new social media followers and email subscribers. There is a lot of opportunity surrounding this. If you have managed to collect email addresses for 100 new leads after the event. Not all of them will become customers, but if handful small percentage do, that still equates to a bigger client list. It's always nice to contact all your new followers and thank them for their support. You can make a generic "Thank You!" post to go up to Twitter, Facebook, Google+ and any other social media sites you use. Thanking your attendees and anyone who supported you is good manners and is sure to garner goodwill among your followers. Thank the people who attended or supported. Share resources, media, and content with the people who couldn't attend. Establish contact with the new leads generated via the event. It's vital that you have a post-event email marketing strategy in place long before the day of the event. That way, you'll have everything ready to go even as those banners are coming down and the event venue is being cleaned. As mentioned above, you can use an email to thank attendees and supporters, share content with the newsletter subscribers not able to attend, and make contact with your new leads. Even after the sales have closed, you can continue to increase the ROI thanks to email! 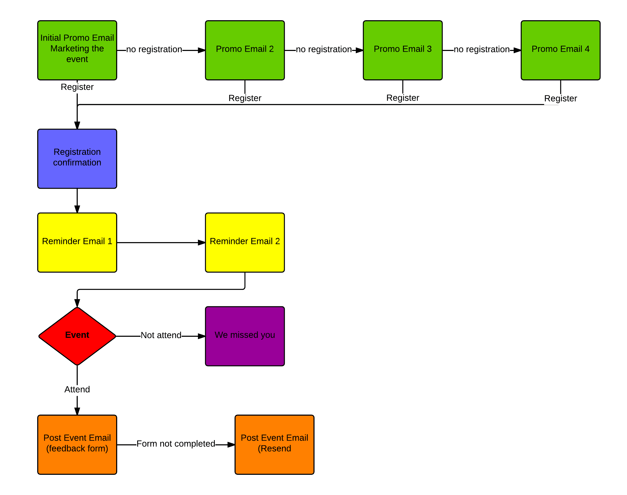 Once again, set it all up using MailChimp, Aweber, or some other email automation service. It’s good practice to have it set up days or even weeks in advance, with the automated workflow established and the segments built. You can even create an entirely new list out of the leads generated at the event, and the emails will be sent to the new people on that list. Automate as much as possible in advance! The email should be sent out within the 48 hours following the event. You'll already have sent out a "welcome" email to any new subscribers, so this is an email meant to thank them for signing up, offer some additional value (freebie or discount), and encourage them to take another action (joining another mailing list, checking out X product or service, and so on). As long as you send it out soon after the event (24-48 hours), you'll capitalise on the positive memories of the event. People will be more likely to take an action in those emails because they still remember the event. You can divide your list up into as many segments as you want. The more segments you have, the easier it is to target people with the content you want to share. A thank you. Everyone wants to feel valued, and thanking them for attending/purchasing/signing up/participating is a good way to let people know they matter. Value. Offer a discount, a promotion, or something exclusive that they will want to take advantage of. A call to action. Ask them to click on a link, visit a page, check out a new product, or sign up for something else (that offers value, of course). This is the key to taking advantage of the new leads you've generated via the event. We mentioned this above, but we're reiterating it because it's so important. Make sure to create the follow-up email weeks or even months before the event itself. Go over the content to make sure it's clear, well-crafted, and hits the high notes of the event. You may need to make a few last-minute additions, but the email should be ready to go. All you have to do at the end of the event is log on, finish the email, and send it out—a few minutes of work! The follow-up email is not the place to detail everything that happened at the event. After all, the people you're emailing were just there! Instead, give a short recap of all the highlights, then move on to the important part of the follow-up email: the call to action. Don't give people the option to "find out more". Instead, give them a very specific call to action: click here, download this, subscribe to X, etc. The more specific, the more likely they are to actually do it! A post-event email can include multiple calls to action, unlike the single call to action recommended in most emails. You've collected a wide range of leads, so create calls to action to appeal to the variety of demographics. Give people options, and they're more likely to find something they are willing to do (click, subscribe, watch video, try demo, etc.). Add pictures of the event into the email, and the visual will help to establish the connection in their minds. It's often the only way to remind people who you were among the hundreds of others attending. Not the lead's personal info, but the info of the person or people they talked to at the booth. Include that person's name, phone number, and picture to make sure the leads remember who you're referring to. Many of them are ready to make the purchase—they just need to be reminded of the person who got them there. You can keep the design and general content of the emails the same, but you need to tailor them to existing subscribers who participated ("thanks for joining in"), new leads that signed up ("great to meet you"), existing subscribers who couldn't attend ("we're sorry we missed you"). This way, you'll reach a broader audience with a tailored message. Hi [Name],It was great meeting you at (event). Having looked at your website, I think you could benefit from using (recommendation). It’s been really successful when I’ve used it with my own team. Would you like to find out more about it? I’d be happy to send over some templates and examples if you’re interested. It was great to meet you yesterday, thank you so much for the insight into (name of company’s) story. I think I’ve found a good solution for the (business challenge) we discussed. Lots of companies similar to yours are getting great results with our (product), which (explain what product does). Would you like to discuss this further sometime this week? I would be happy to introduce some of our current customers who have experienced the same problem as you. I look forward to hearing from you. Simple, but highly effective! They can be a simple solution to turn leads into customers with nothing more than a quick email. Social media can be your best tool when it comes to promoting events. People are always looking for the new and interesting. If your event is that "new and interesting", it's all but guaranteed to garner a lot of attention! Use your social media platforms to spread the word as far and wide as possible. This will help to create a presence for you on all these platforms, and will provide information about the event. Your Twitter posts won't perform as well on Facebook, and your Facebook content may be too "buzzy" for LinkedIn. You need to create content for each platform according to the users you are trying to reach. Tailor your posts to your audience. Twitter is ideal for spreading links, especially if paired with clever hashtags. LinkedIn is ideal for higher-level and technical information. Facebook is for splashy, viral content that is visually appealing. It's also best for starting conversations. Snapchat is all about capturing live experiences in a fun, appealing, and laid-back way. It’s great for offer a peek into the world of your event or event buildup while it’s happening! Plan your content specifically to your platforms! When you are posting your content, monitor it to make sure each post is engaging the audience as effectively as ﻿possible﻿. Use analytics to schedule the content for the best posting times, and tweak the content according to what people respond to. If you're sharing technical content, get the people in the know (the technicians and experts) to join in the discussion, field questions, and provide answers. That will increase the value of the content you share, thereby increasing interest in your event. Perhaps you're finding that certain elements of your marketing have a better response than others. Consider changing your strategy in order to cater to your audience as efficiently as possible. Just because the event is over, that doesn't mean you can't keep the social media momentum going! You've no doubt generated a lot of interest in yourself and your company, so it's time to take advantage of that fact. How can you do that? Share updates, news, and content that will keep people interested in you and your products/services. The key to keeping people interested is to keep them coming back for more answers/solutions to their questions/problems. That means you need to continue posting high-quality content that provides value: how-to guides, informative lists, infographics, discussions, articles, and anything else that offers help and advice. The same content you shared before the event can continue to provide value after the event. You may have to tweak it a bit, but you can continue to share it for weeks/months to come. Social media is the best way to keep people engaged post-event. It will take a lot of work and planning (before the event), but it's always vital to have a post-event social media strategy in place to capitalise on the interest generated by the event. During the event, use services like Visible Tweets to display tweets in real time on screens and monitors. It's a great way to tie your social media platform into your event and encourage people to tweet from the event itself. Live-tweeting events are an awesome way to generate interest and appeal to the fear of missing out. People want to stay up-to-date on the latest trends, so if they find out something awesome is happening right now, they're more likely to engage. Just before you have the guest speaker take the stage, tweet that they are going live. You can stream the presentation to Facebook Live to allow people around the world to see the presentation in real time. It will also generate interest for your event among people who can't physically be there. The more people use a hashtag, the more popular it becomes. Make sure everyone who tweets uses your event hashtag! Keep up a steady stream of posting photos, and it will keep people interested in what's going on! People respond to photos and videos far more than they do to text-based content. Use your social media right, and it can be your best tool for spreading the word of your event far and wide. If you want to save time and effort on promoting your event via social media, you need to take advantage of a few tools. Not only will they reduce the time invested in social media promotion, but they'll provide analytics to help you monitor promotion activity. Those analytics will give you better insight into the way your social media followers respond. Want to ensure all of your social media posts are hitting your target audience at the right time, and in the best possible way? If so, then scheduling tools are going to be your new best friend as an events manager or promoter. With their user-friendly interfaces, amazing array of functions and purpose-made tools, each and every one of these platforms has what it takes to make a really positive difference to your promotional efforts. As one of the leading social media tools out there, Sprout Social has garnered an impressive following over the past few years. Simple, straightforward, and effective, it allows you to schedule your social media engagements with ease, and offers a whole host of analytics and team collaboration tools, too. Later has proven to be highly popular with events managers and social media promoters, especially those using Instagram as their primary platform. Free to use, easy to set up, and capable of setting up a whole week of social media posts in minutes, it’s an effective tool which seemingly just gets better and better. Tailwind was originally set up to work with Pinterest, but has recently been updated and adapted to fit with Instagram feeds. It is designed to allow you to bulk schedule Instagram posts utilising a user-friendly interface, and does an impressive job of maximising your posts’ potential impact. Allowing its users to plan their content, hit the right demographic, and save time while doing so, it’s little wonder that CoSchedule has quickly risen to the top of the social media scheduling tools lists. Enabling the streamlining and planning of social media engagements, and offering plenty of extra tools on the side, it’s a powerful suite that’s ideal for those seeking to promote their events. Among many other things, Feedly allows users to accurately schedule social media posts in order to achieve the best possible reach. Thanks to an attractive layout and intuitive design, it’s proven to be highly usable and easy to master, thus helping events promoters really make the most of the social media accounts. As well as the tool mentioned above, there is a whole host of other options out there which are also doubtlessly worth your attention. Among these, Hootsuite and Buffer are two of the simplest, easiest scheduling tools, though there are many more (TweetDeck, Viral Heat, Social Pilot, Sprinklr, etc.). As with the others, these services allow you to schedule social media posts weeks in advance, automating everything for you. Hootsuite and Buffer are two of the simplest, easiest scheduling tools, though there are many more (TweetDeck, Viral Heat, Social Pilot, Sprinklr, etc.). These services allow you to schedule social media posts weeks in advance, automating everything for you. If you’re putting plenty of effort into your social media posts and engagements, you really want to make sure they’re hitting the right targets, and making the kind of impact that’s going to convert to sales and greater interest. If you’re interested in peeking behind the curtain of social media apps, then some decent analytics tools are going to make all the difference. Not only will they show you who is reading and sharing your posts, they’ll also allow you insights such as when is the best time to post on social media, and what sort of people to target in order to take your posts further. Check out these top analytics tools, and see what they can do for you and your events. This leading analytics suite offers pretty much everything you could need to gain a deep insight into your followers and post engagements. Beautifully constructed, wonderfully user-friendly, and packed full of cool features, it may just be the only analytics tool you’ll need. One of the new breed of analytics tools based around the growing popularity of Snapchat, Snaplytics has made a considerable impact on the scene in a short period of time. Packed full of user-friendly features, it’s a top analytics suite which is great for following and taking advantage of trends. Ideal for content strategy and outreach, Buzzsumo is a far-reaching analytics tool which can allow you to clearly pinpoint your most shared links and active influencers. One of the most recognisable names when it comes to social media analytics tools, Tapinfluence has a long and impressive list of high-flying clients, and for good reason: this really is one of the most thorough and concise analytics suites out there, ideal for events managers looking to gain deeper insights into their social media success. Shortstack is renowned and prized among its many users for a number of reasons, and it has become one of the most commonly used analytics tools in the events industry. An easy to use drag-and-drop interface and navigable analytics dashboard make this a great option for promoters of any level. Use these tools to make your social media presence as effective as possible! This is a tool that allows you to create events, promote them, and create guest lists, event attendees, tickets, and more. It will help you to keep a close eye on who is attending your event—not only those who register, but those who actually attend! This is automation software that allows you to personalise the experiences of your event attendees. It can help you to control brand perception, generate reports of your event performance, monitor analytics, and increase lead scoring. This is a tool that helps you to maximise your digital marketing across not only social media platforms, but also via email marketing, digital ads, and web content. This platform provides event registration tools that can be easily adapted to any social or commercial event. 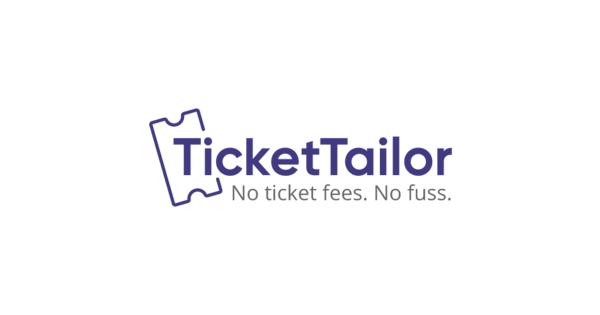 If you want more creative control over how you sell and promote tickets for your event, then Ticket Tailor is the platform for you. Hugely customisable, and with an individual focus which is hard to beat, it really is an impressive suite which puts you in the driving seat. What’s more, they take no commission on your ticket sales, meaning you see more of your profits than you would with other mainstream providers. 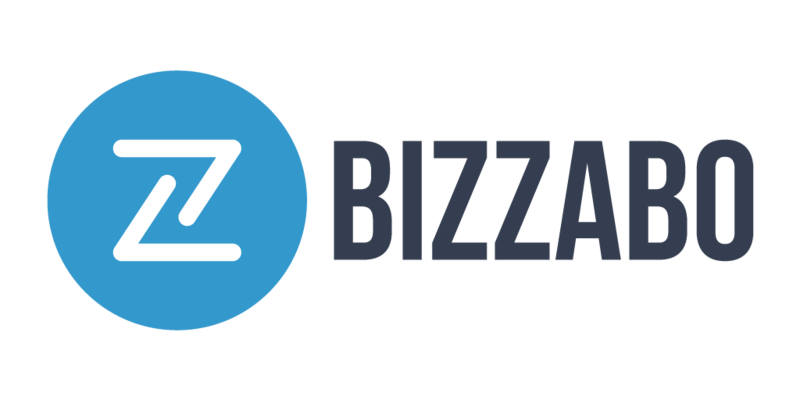 The multi award-winning Bizzabo software is widely regarded as being one of the best out there for events planners, due to its ‘holistic’ design, and huge array of creative tools. Insights, analytics, sharing, and reporting capabilities really make this one stand out from the crowd. Fonteva offers ‘full event life lifecycle management’ tools, designed to help with every single step of the events creation process. With its drag-and-drop interface, it’s among the most user-friendly suites available, and thanks to real-time analytics and comprehensive report creation abilities, Fonteva ensures you stay on top of your game from start to finish. Look over each of these platforms/services and see how they can help you with your event. Not all of them will meet your needs, so it's vital you find out which one works best for the specific event you're hosting.